100µA Rigid Line Wattmeters form a complete power measurement system when combined with the appropriate Rigid Line Section and Plug-In Elements. NOTE: THIS IS SPECIAL ORDER ITEM. NORMAL DELIVERY IS 4-5 WEEKS ARO. 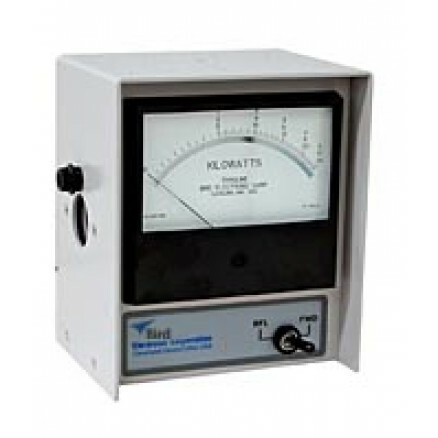 Elements must be ordered according to the desired frequency and power ranges, the meter scales and size of the line section selected for use with the meter.